The district provides recreation for people of all abilities. 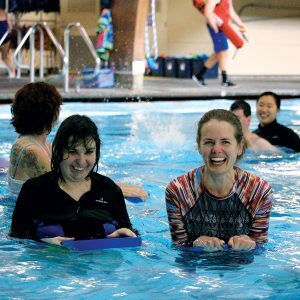 We provide a wide variety of program options that offer opportunities for our participants to engage in activities that promote socialization, skill development, and physical activity. Ages: 18 & up: These programs are taught varying times throughout the year. SUMMER 2018 ADULT TR REGISTRATION : In an effort to make the registration process accessible to everyone, BPRD-TR is using this survey (click here) to increase the likelihood that many of you will be selected to enroll in several of your top choices for Winter/Spring programs. The survey will be open from August 7 to August 27, 2018. You will be notified by September 1 of your classes and arrangements for payment must be received by September 5, or your spot will be forfeited. After September 10, any unfilled classes will be open for anyone to register. If at any time you have questions, please don’t hesitate to contact our Therapeutic Recreation Coordinator, listed below. Arts & Crafts: Crafts, Painting,Pottery, Watercolor & more. Check out or download our current recreation guide, The Playbook, for current offerings, times, fees and locations. Kids, save the cartoons for later, and come join us for exciting activities in and around Bend. Activities may include, sledding, skating, adapted biking, bowling, arts & crafts, and games. This year-round program is available to kids with disabilities and their siblings/friends! 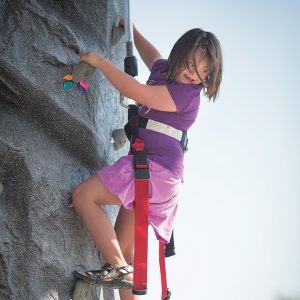 This is a 4-week summer program for kids with disabilities. The program meets twice a week and kids will enjoy visiting various places around Central Oregon. Activities may include swimming in local lakes and parks, rafting, games, and crafts. Pack your sunscreen, swimsuit, and hiking shoes and prepare for an afternoon of swimming, boating, hiking, and visiting the sites of Central Oregon. This is a 4-week summer program for teens with disabilities. Ages: 14 & up: These programs are taught varying times throughout the year and are offered through the therapeutic recreation department. Arts & Crafts: Pottery, Painting, Watercolor, Crafts & more. Cooking: Weekly cooking and baking classes. Visit our Register page or download the Recreation Guide at the link above for days, times, fees and locations. BPRD strives to provide life-enhancing recreation opportunities for people with physical disabilities and their families. 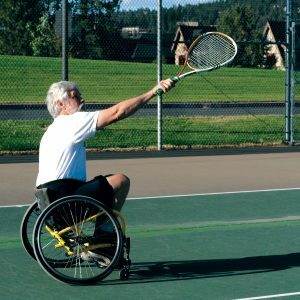 The adaptive sports and recreation program offers clinics focusing on skill development, and sports programs that promote physical activity and group camaraderie. Discover a few of our staff and patrons’ favorite opportunities for accessible play. BPRD strives to make parks, trail and facility amenities safe and accessible for everyone.